See a short video from the factory or follow the blue arrows on a 360o tour around a 3 bay SuperStore being used for maturing and storing cheese. 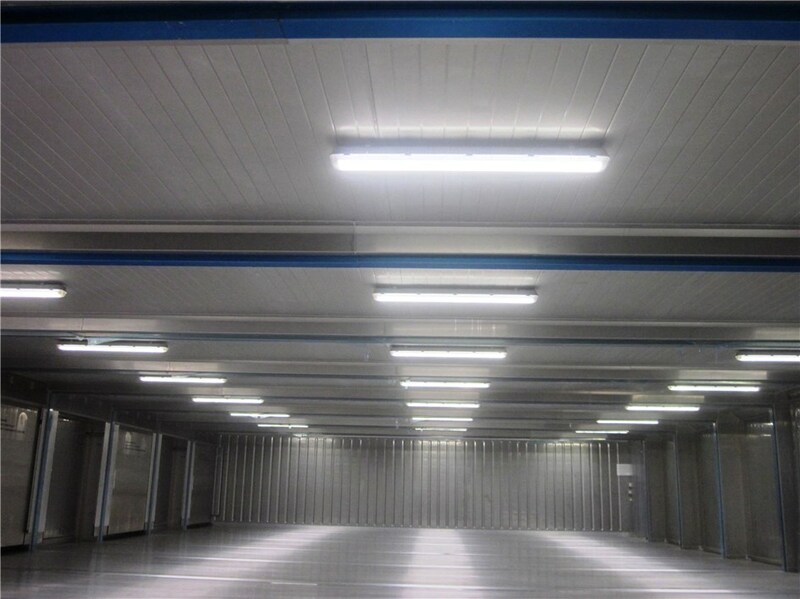 SuperStores are most often used by catering, food distribution and pharmaceutical companies though there are many other applications including engineering products like metal and fibre profiles. 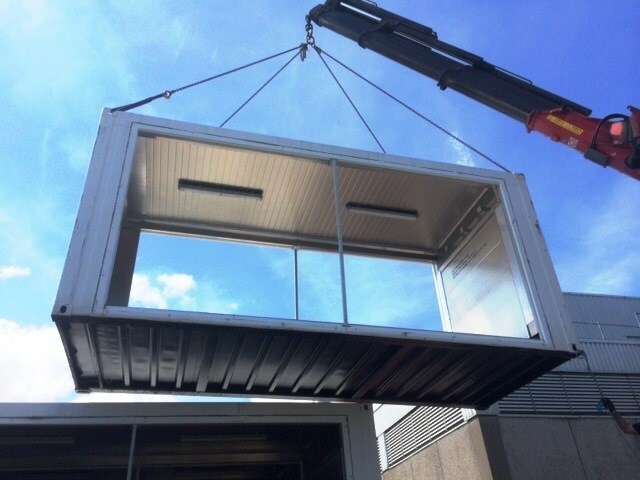 Apart from standing level SuperStores require minimal ground foundations and they can also be located on support legs or equivalent structures where direct access from loading bays is preferred. 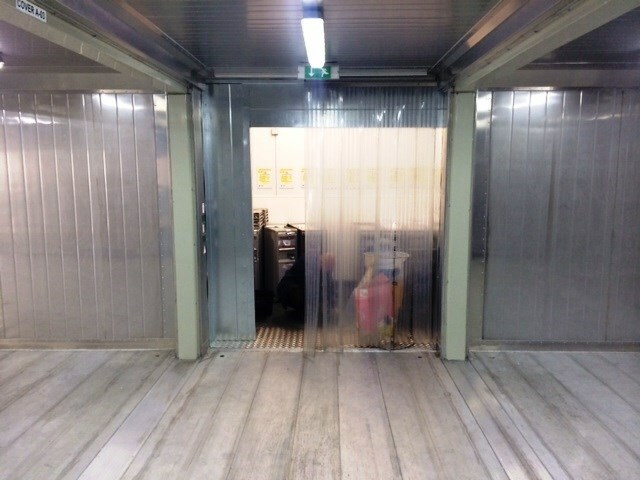 SuperStores can also be connected to existing buildings or installed in-doors. 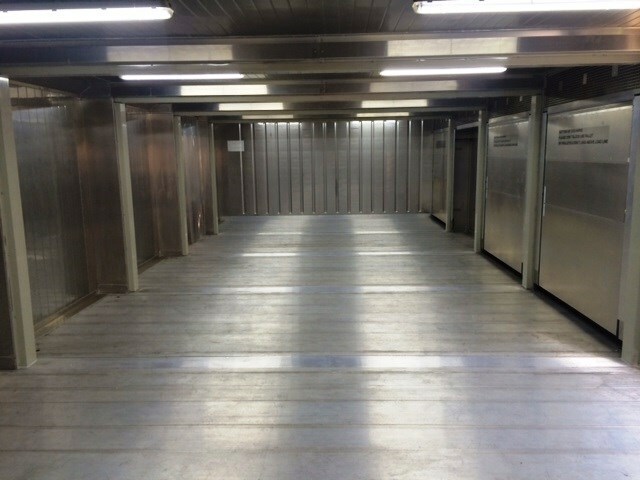 SuperStores can also be double stacked though with weight restrictions for the 2nd floor. Normal temperature range with 380/440V 3 phase power supply is -40oC to +30oC. 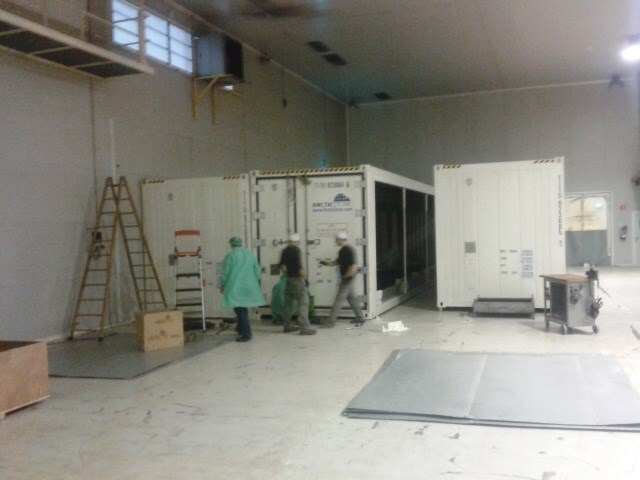 We also offer a HotStore version for temperatures from +40oC to +60oC. 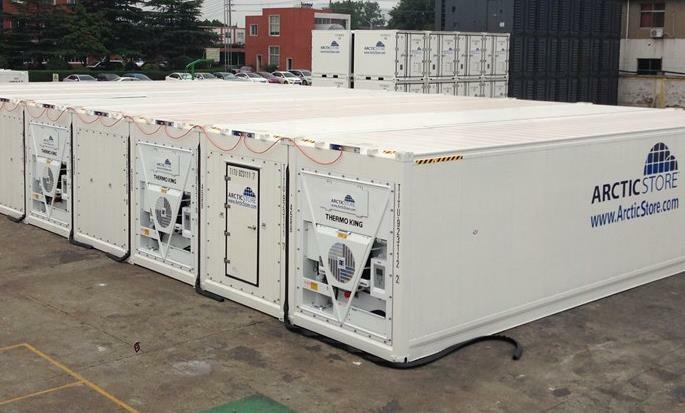 Subject to the application and location single phase refrigeration is also a possibility. 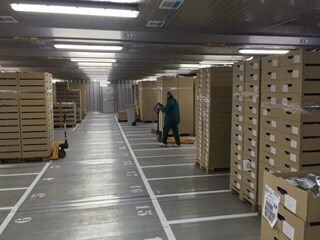 All normal material handling devices, like cages, pallet lifts and small fork trucks, can be used inside SuperStores. 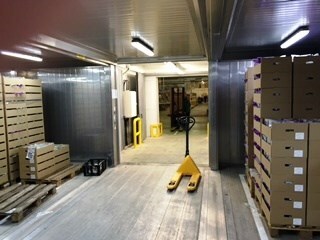 Similarly we can also supply units with meat rails and additional internal power supply for machinery and power tools. Stainless steel interior panles and flat non-slip aluminium floors can be kept hygienically clean with water and detergents. Hermetically sealing drains are included in all units. The underfloor is made of steel for protection against rodents. 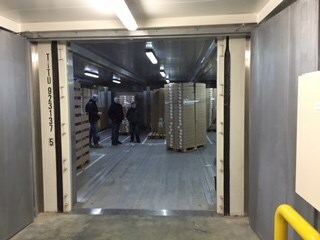 SuperStores can include connected multiple temperature zones and can even include blast freezing or rapid chilling zones. 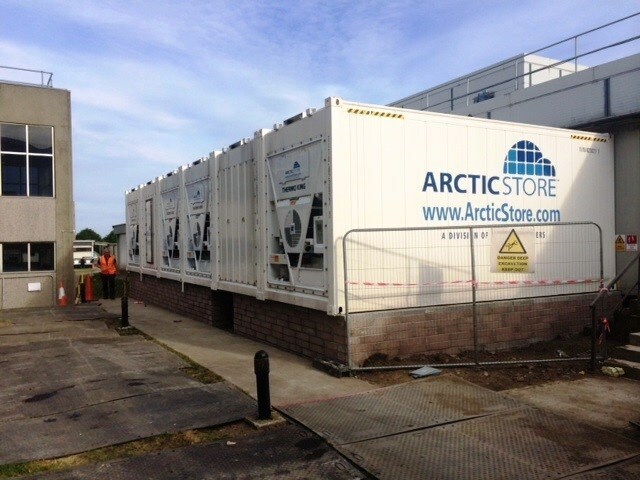 SuperStores include many user friendly attributes and deliver affordable, reliable and flexible on site temperature controlled storage or production complexes. 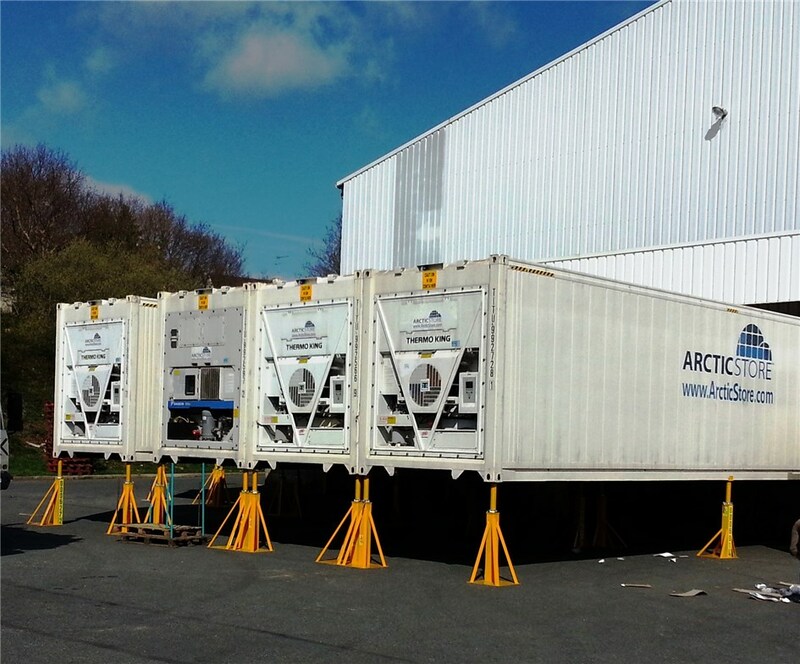 Arctic SuperStoresTM are a TITAN innovation designed and developed by TITAN in conjunction with specialist container and container refrigeration manufacturers. 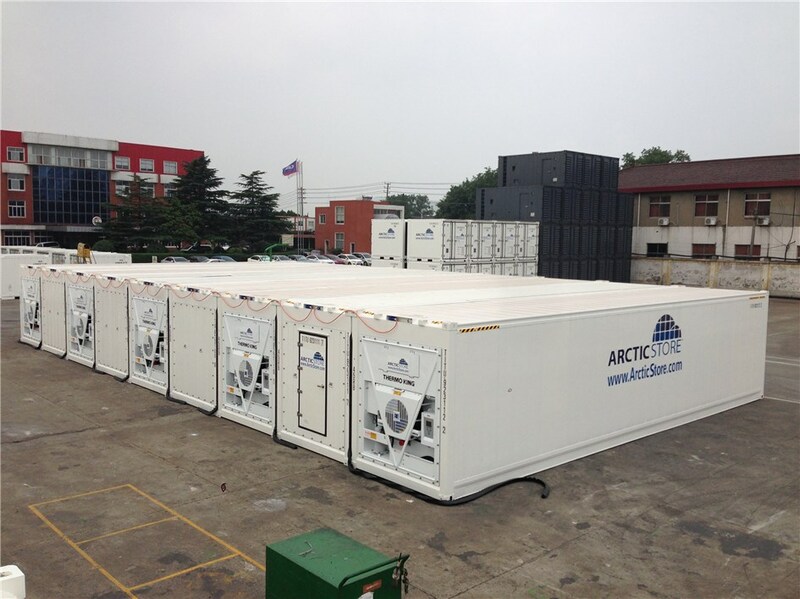 Arctic SuperStores are available for hire or sale worldwide and naturally TITAN assist in construction and supply post delivery services.